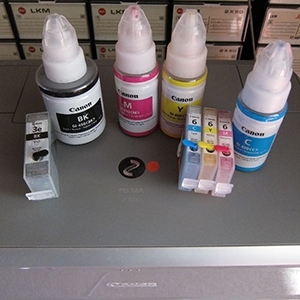 Discussion in 'Canon InkJet Printers' started by PeterBJ, Feb 9, 2012. 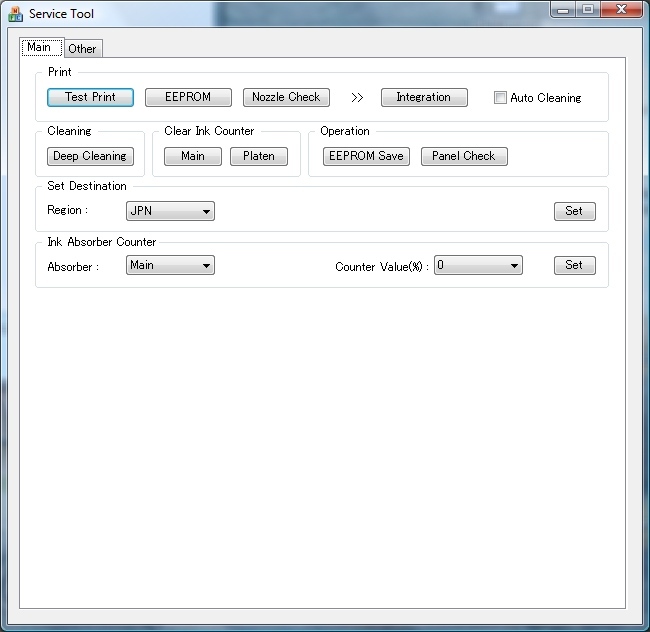 This tool provides service mode operations for several Canon printers of the PGI-x20/CLI-x21, PGI-x25/CLI-x26 and PGI-9 generations. I've tested the tool with a Canon MP540 and Win Vista Home Premium 32 bit. I guess It will also work with Win XP and 7 and maybe 64 bit versions of the OS's (Not tested). Neither AVG Internet Security nor MBAM (Malwarebytes Antimalware) found any threats in the download. For download links see "Updates" at the bottom of this post. button. (DO NOT release the buttons). ii. When the Power LED lights in green, while holding the ON button, release the Stop button. iv. When the Power LED lights in green, the machine is ready for the service mode operation. The LCD display now shows two lines of text: 1: Service mode and 2: Idle. Before starting the service tool, make sure that both cassette and rear tray contains paper, else service mode operations might fail, as you cannot predict which paper source the printer will use. Now now run the unpacked ServiceTool_V2000.exe file. No installation necessary. Click the "test print" on main tab and the the text is greyed out. Now wait for the familiar style test print with extended nozzle check etc. Don't panic even if it seems to take forever.. You will eventually get the printout and this pop-up window: Click the thumbs to enlarge, and click the enlarged cropped image again to expand to full size. 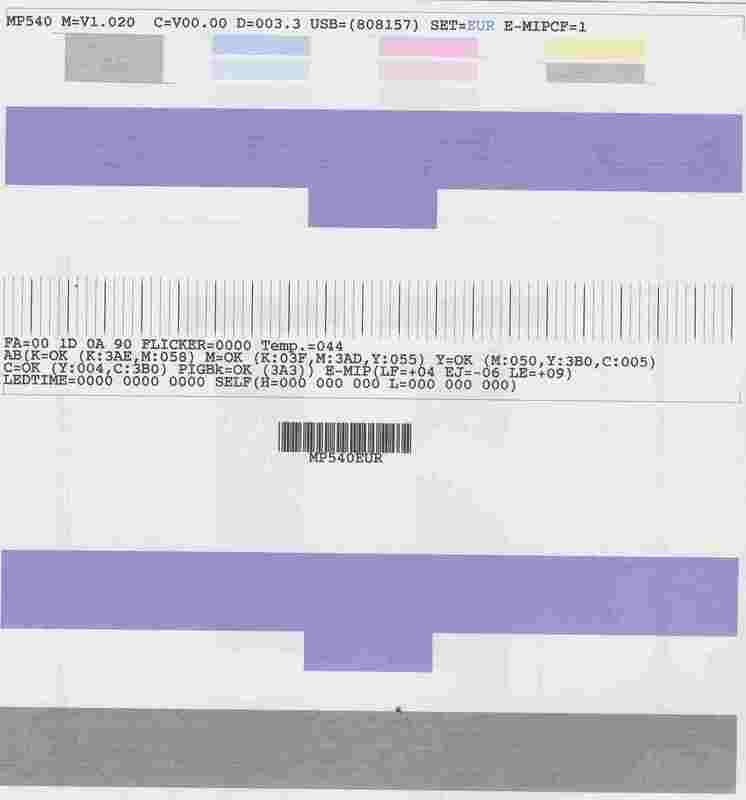 It is seen from the cropped image, that this printer has a problem with the printhead. Exit service mode by turning the printer off using the printer's Power On/Off button, and close the Service tool application. Note: The service tools only work with a USB connection, so you will have to use a USB cable with a wireless printer. Also note that all versions work with 32 bit Windows but only versions 3200 and 3400 also work with 64 bit Windows. Update1: See this post for a download of version 3400 that works at this time of updating, October 29 2015. Older updates were removed as the links no longer work. The Hat and Tudor like this. I would like to test it on an Canon MX885 and give feedback if it works. If anyone could upload the tool? That looks like accessing the service software for a car's engine management system. Make a slip up and you spend the next six months trying to sort it out. However very interesting, I had not noticed the post until datroubler replied. Yes the links seemed to have been broken. I have updated my post above and the post in the service manuals thread. canon service tool v2000 is not working for canon pixma ip 4940 or maybe printer not going on service mode as mention.i tried several times but nothing.can you please send the link which guide me to fix ip4940 and tell me how to go service mode of this printer. Both causes are possible, the Canon iP4940 is not on the list of supported printers and the procedure for entering service mode might be different for the iP4940. Check this site: http://www.2manuals.com/product_info.php?products_id=1445 . They offer a newer service tool v3400 for download, but not exactly cheap at 30$. But note that they write that the service tool v2000 can also be used for resetting the absorbers. 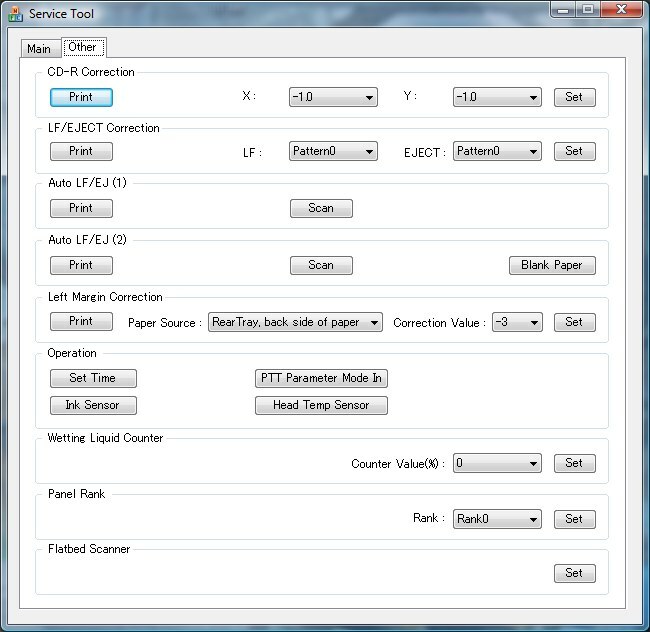 They also list a different procedure for entering service mode for your printer, so maybe you can use this different procedure and service tool v2000 with success? If you are willing to spend hours searching the web, you might be lucky and find free downloads of the service tool and service manual for your printer. 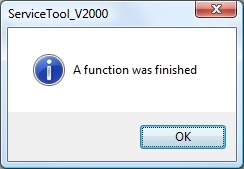 EDIT: I wonder if the reference to Service tool v2000 is a typo? I wonder if the reference to Service tool v2000 is a typo? Actually it's version 2.000, at least the one in the link. I think 2manuals.com got something mixed up on the page I linked to. The reset tool v2000 does not need Win XP to run. 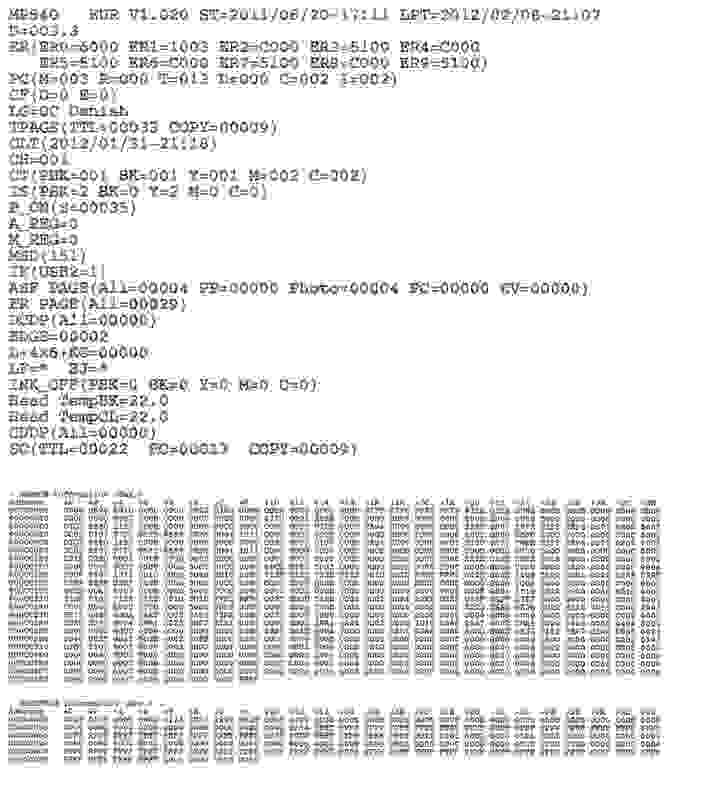 AFAIK the older version 1074 or 1.074 did. I'll download it and give it a try with an iP3600. Most likely you just need to be running the tool in XP compatibility mode if you're using Vista or Windows 7, but by saying it's WinXP only compatible it probably removes a lot of the support overhead you get otherwise.